Although he was known as Thomas O’CONNOR, my mother’s father was actually born Thomas CONNORS in Heywood Rd, Clonmel, Tipperary, Ireland in 1901. From his birth certificate, we know that his father was William CONNORS, a labourer and his mother was Kate FAHEY. 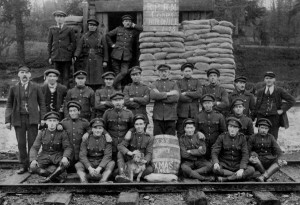 The Railway Protection, Repair and Maintenance Corps was formed to keep the railways running in response to the destruction of rails, bridges and stock both before and during the Irish Civil War in 1922. Birdhill appears to be one of many fortified posts set up along the lines. 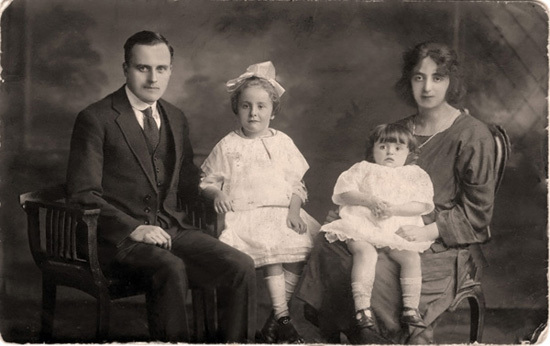 My uncle has told me that at some time between 1923 and 1930, his father Thomas and his brothers (“Matty” and “Willie”) came from Ireland to England, though he believes that at some time during this period, Thomas went to Canada as part of a government-sponsored work scheme. I subsequently discovered Thomas’ name on a Canadian Immigration document dated 1928, confirming that Thomas did indeed travel to Canada as one of the many “Harvesters” who were encouraged to work in the Praries on the Canadian harvest on the promise of good wages and in the hope that they might settle there permanently. I have also found the passenger lists for Thomas’ outward and return journeys. Both documents confirm that Thomas was travelling as part of the British Harvester Scheme and they both list his residence as 16 Nelson Street, Widnes. According to my uncle, Thomas was not happy with the conditions or the way the Harvesters were treated so spent several months trying to find other work before returning later the same year. Thomas, Matty and Willie had a sister, Mary, who remained in Ireland (Waterford) and married a Joseph BURKE. According to her death certificate, Mary died aged 78 in 1986 (hence she was born c. 1906) and she was the widow of a farm labourer. Her address was 5 Morrissons Road, Waterford. As for Thomas’ brothers, I have an obituary notice from the Widnes Weekly News reporting the funeral of William O’CONNOR who died at the age of 76 in 1974 and a copy of his death certificate, which gives the date and place of his birth as 16th June about 1898 in Waterford, Ireland. The informant was his son, Thomas O’CONNOR. The photograph below was in my mother’s collection and due to the striking resemblance of the man to my uncle, I believe could be of Thomas CONNORS and family. It is in the form of a postcard and the reverse has the address of the studio at which it was taken, which was at the 115 Albertbridge Road branch of W. Abernethy, in Belfast. Unfortunately, there is no date on the photograph to help me determine whether this is his first wife or not. 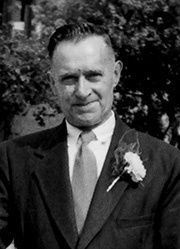 The photograph you have is my grandfather “William O’Connor” from waterford married to Annie. My Father was also Thomas O’Connor same as me and lived at 203 Liverpool Rd in Widnes, chestnut Lodge. I cant quite grasp the connection with your family?. I have lived in NZ for 40 years and now live Melbourne Australia. Hi Tom, thanks for getting in touch. Your grandfather William was the brother of my grandfather Thomas O’Connor (my mother’s father). William and Thomas also had a sister, Mary, who remained in Ireland and according to my uncle, there was another brother called Mattie (presumably Matthew) who also came over from Ireland to Widnes but I don’t know anything more about him. Do you have any more information about your grandfather, his brothers or sister, or their parents in Ireland that you can share?